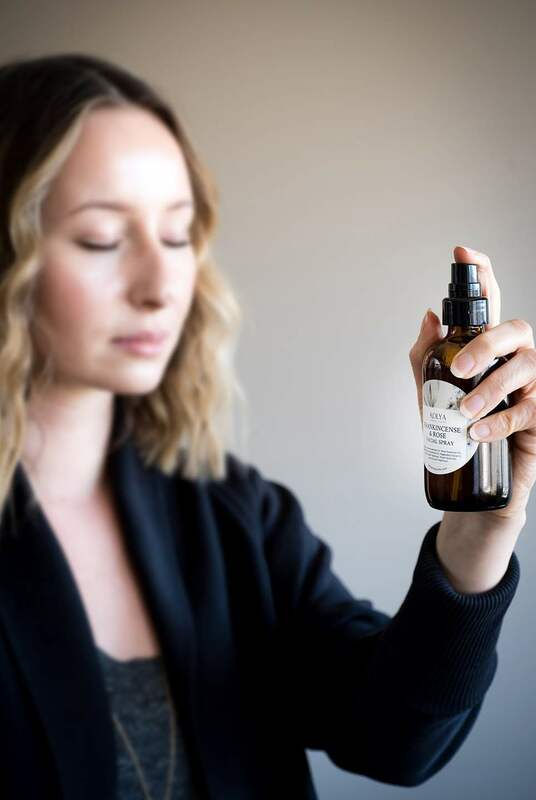 This DIY Botanical Facial Spray is a hydrating face toner that’s tailored for your skin type. It’s a perfect way to support your skin throughout the transition to spring (and, all year round). This is a wonderful multipurpose spray to cover all your hydrating and toning needs! Using a funnel, add the essential oils to the bottle. Evenly measure the ingredients and use a spatula to help pour them into the bottle. Remove funnel, place cap on and gently shake and label. Enjoy! Use: Spritz after you cleanse (especially in the evening) or before applying serums or moisturizers. This Botanical Facial Spray is excellent for setting mineral makeup and can be used throughout the day to keep skin supple and hydrated. You can also use this instead of water when mixing a clay mask for extra skin-loving benefits.